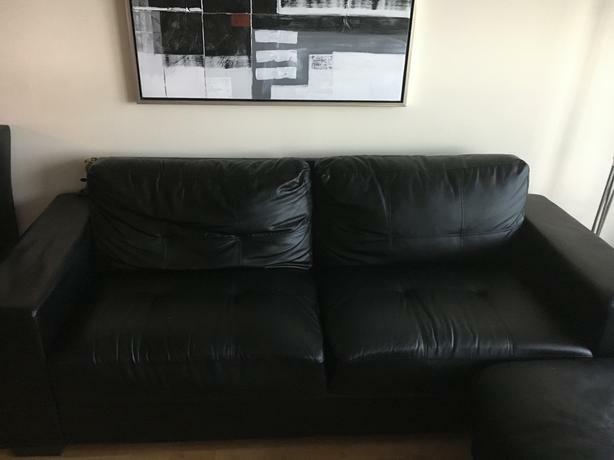 This is a three seater sofa. I have added on an ottoman which elongates the length of sofa and adds more room for seating. This is a great sofa for a student or a smaller apartment. The reason why I have made price quite low is that the sofa has a few scratches. It is negotiable.